All of our business coaches are seasoned business leaders and managers whose first avocation is leading and managing people, programs, teams, functions, or organizations. Our coaches meet strict standards regarding their experience in client engagement, process, technique, and in delivering results. Besides being Leadership Choice certified, many of our coaches also hold multiple coaching certifications. Many of our coaches have international experience and frequently interact across international boundaries and time zones. We utilize phone-based coaching in order to provide a coaching experience that is flexible, accessible, and affordable. This also allows us to have more frequent coaching sessions spread over a longer period of time in order to enhance application and retention. Dr. Fowles has over 25 years experience as a business coach, consultant, organization development leader, and strategic change agent with Fortune 1,000 companies. 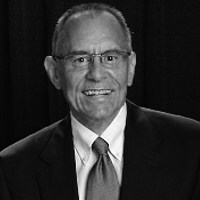 In addition to his business consulting and coaching, Dr. Fowles led Global Organization Effectiveness and Leadership Development for the Kellogg Company, was Senior Vice President of Organization and Professional Development for First Security Corporation (Wells Fargo), and founding Senior Vice President and Managing Director of Drake Beam Morin(DBM) Intermountain Area Offices. Susan W. Jernigan is a leader in career transitions, coaching, organizational development, quality management, and human resources. Susan spent five years as Vice President and Quality Management Specialist for a local countywide community service organization and sixteen years as Chief Operating Officer, Administrative Services Director and Project Manager for a statewide nonprofit organization. 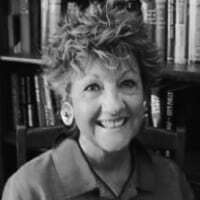 Susan served for 10 years as a board member of the Valley of the Sun Human Resources Association and past Commissioner for City of Glendale Community Development Board. Bruce brings over 30 years of executive and human resources experience and has a diverse history of development of managers and executives in public, private, and nonprofit businesses in a wide range of industries. Bruce has completed over 200 engagements with managers and executives located throughout the US and in 9 international locations, including Japan, India, Australia, Germany and France. 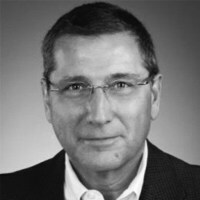 Prior to joining Leadership Choice, Bruce was the Senior Vice President of Human Resources for Pearson Education’s K-12 Business, and was responsible for a 75-person Human Resources team and as a business partner collaborating to set and accomplish the strategic goals of this $3 billion business with over 6,000 employees.